For Alex’s 7th birthday she got 1D concert tickets and Mount Sinai Hospital got $202! | ECHOage - Get great gifts. Give to charity. ← Can a spa birthday party really raise $267 for Free the Children and get a 10 year old girl a brand new iPad Mini? 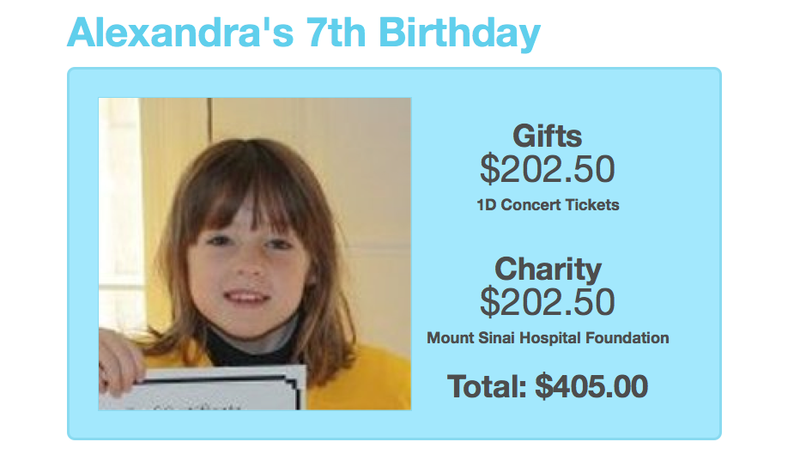 For Alex’s 7th birthday she got 1D concert tickets and Mount Sinai Hospital got $202! Alex certainly is a young rock star to us – for her kindness, generosity and leadership – all at the age of 7. 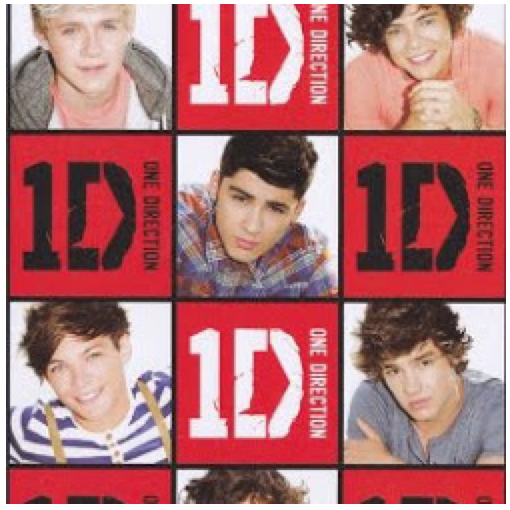 Alex chose to get 1D concert tickets (that’s One Direction to the over 12 set) with the funds raised at her birthday party. A gift from all of her friends that she will surely never forget! As Harry (Styles) would say, “Alex, That’s What’s Make’s You Beautiful.” We couldn’t agree any more. Happy 7th Birthday Alex!